The iPhone X is still a good few weeks away from going on sale but this being the world of Apple rumors that does not mean that attention has not already turned away from 2017 and towards what the iPhone maker will offer up this time next year. With rumors having Apple already working on a new 6-inch iPhone, suggestions are circulating that there may be an iPhone X Plus of sorts, although that name is likely to not be the one Apple goes with. Now iDropNews has released some renders showing off what such a device might look like. 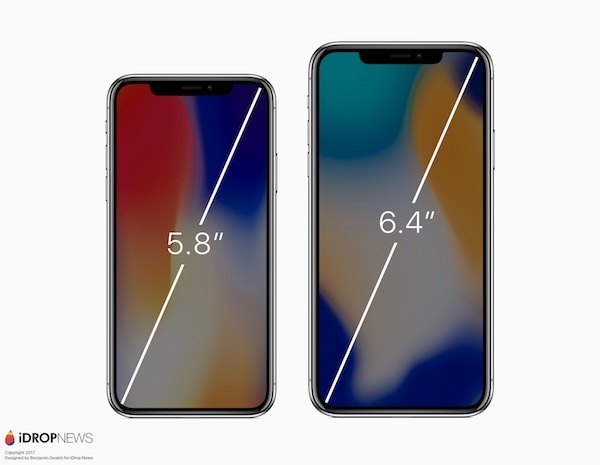 The designs shared by the outlet actually show a 6.4-inch iPhone with a design that mimics that of the iPhone X closely, including that notch that houses all of the magic that makes Face ID work. 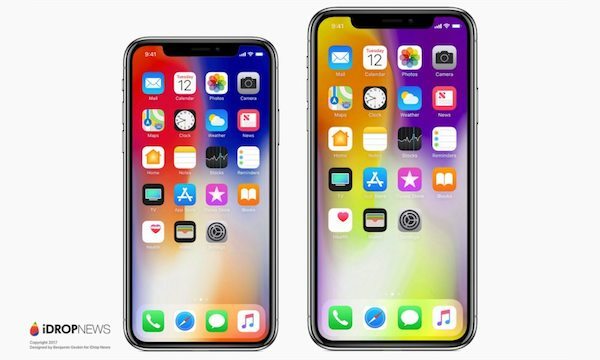 The renders basically show a larger iPhone X which, really, is what any sort of iPhone X Plus really will amount to. Apple had already been rumored to be leaning towards larger and larger iPhones with demand also trending in that direction. If Apple does opt to launch a larger iPhone next year as rumored, then questions have to be asked about the technology that will be used. 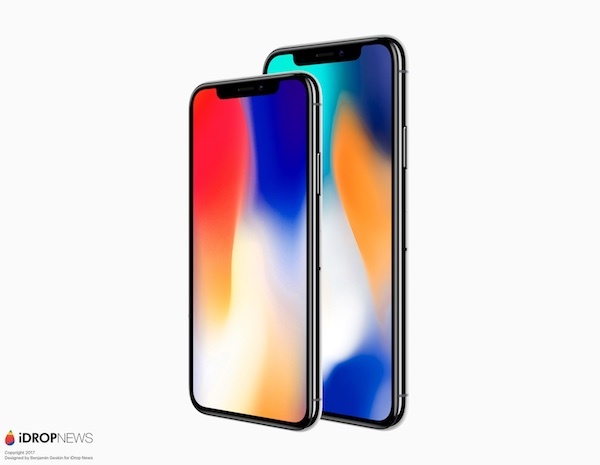 With LCD and OLED now part of Apple’s lineup, a larger offering will surely follow the iPhone X’s lead and go for the OLED option that will debut when the newest iPhone goes on sale next month. We of course do not really know what Apple has up its sleeve for 2018 and with 2017’s big releases still not having actually been released yet, we do have plenty to look forward to as it is. The iPhone X is without doubt the next chapter in the iPhone’s story and we expect all high-end iPhones to follow its blueprint for the coming years. A larger iPhone X would make plenty of sense, but let’s just get the iPhone X out of the way before we start wishing the next year of our lives away, OK?